And here is my finished desk! I started with the drawers, firstly glueing all the cracked drawers, then sanding and giving them an undercoat and a couple of overcoats of Antique White USA. 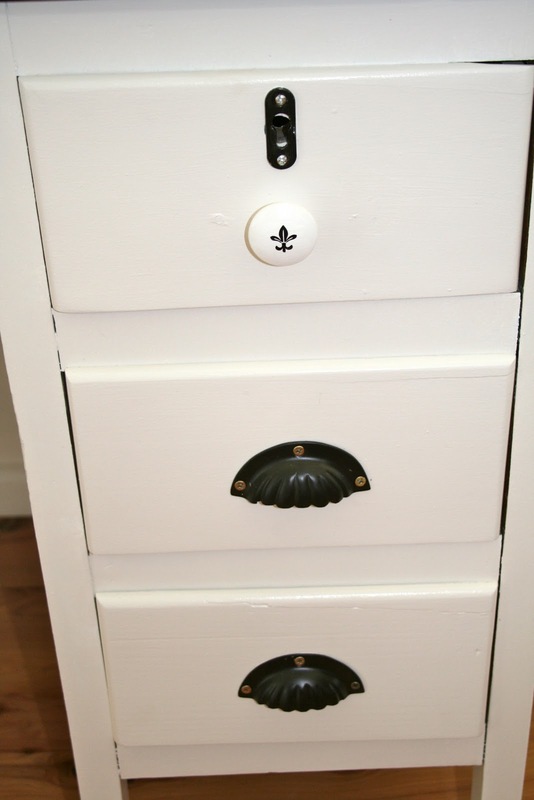 The insides of the drawers were very dirty so they were also sanded and painted. The desk had no handles or hardware, so I purchased keyhole faceplates for the top drawers, which I spray painted black and attached. I painted some wooden drawer knobs white and attached rub ons for the graphics, then gave them a coat of Modge Podge to protect them. 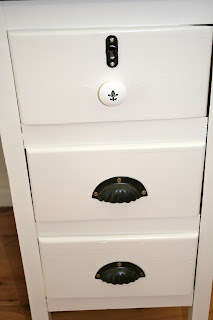 The lower 4 drawers I purchased these cute black scolloped drawer pulls. The body of the desk required a good sanding and cleaning. Then was given an undercoat and 2 overcoats. The top of the desk I decided to sand all the blue paint off down to the raw wood, then applied 3 coats of black stain and varnish to show through the natural wood. As a finishing touch I added this adorable turquoise polkadot laminate to the insides of the drawers. In the end I decided not to distress the paint as I actually liked the neat look of the finished paint. I'm thrilled with the outcome of my first big project! 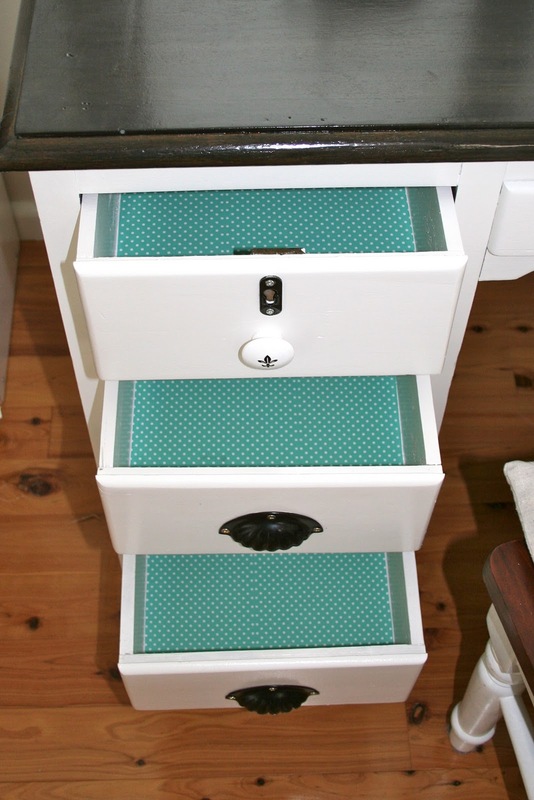 Beautiful transformation, I want polka dot laminate in all my drawers now! So cute. The white paint with the dark top is great. Very nice.